The Yaddo Mansion covers 29,000 sq. ft. and is the architectural centerpiece of our 400-acre property. The home holds 55 rooms and was built in 1893 by Yaddo founders Spencer and Katrina Trask. 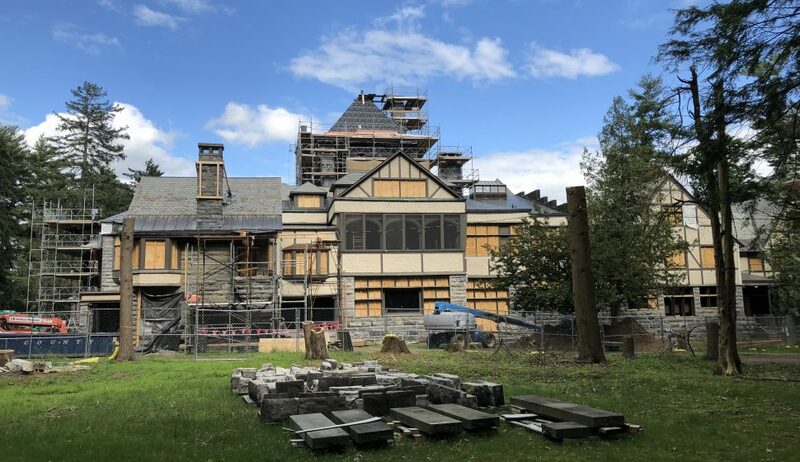 The scope of planned restoration is comprehensive—structural repairs, abatement, window repair and replacement; gutter and roof repairs, HVAC installation—and will include extensive work to the exterior as well as to systems that will enhance the interior livability and comfort of the Mansion. 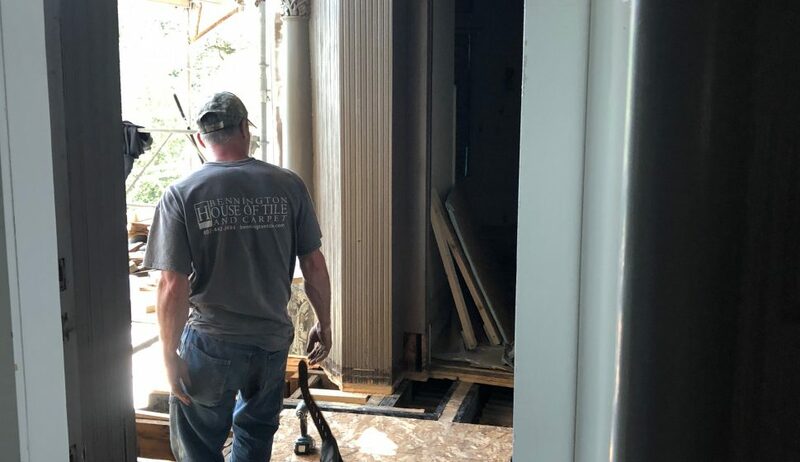 We are bringing in all new three-phase power to upgrade the heating (and add air conditioning) in the dining room, among other common areas—as well as laying the groundwork for future upgrades. 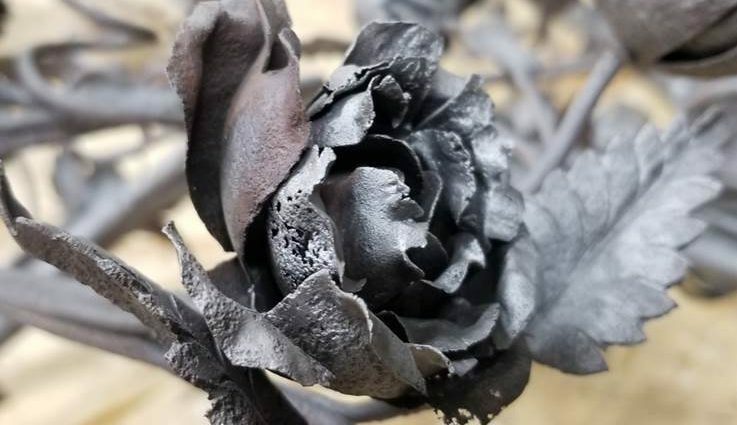 Talented artisans from local businesses are refurbishing the Mansion’s decorative fixtures, including all the metal work. Windows will be removed and replaced or repaired, if needed, with spring-loaded brass weatherstripping added. With some 550 window sashes in the Mansion, this project will happen in phases, with specialists on site. 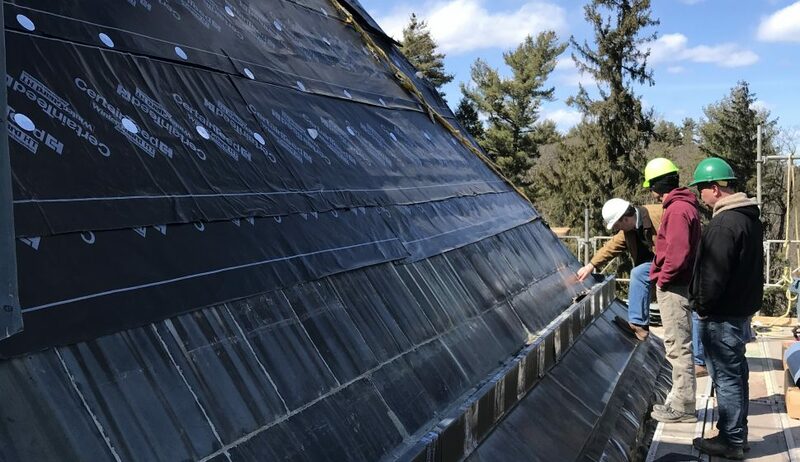 Roofing from the tower—the highest point on the Mansion—will be removed, with a protective rubber membrane added. New copper and slate tiles will replace the old roof. The exterior frieze-panels will be fully restored. Brand new molds are cast from the original panels so that more weather resistant models can replace them. 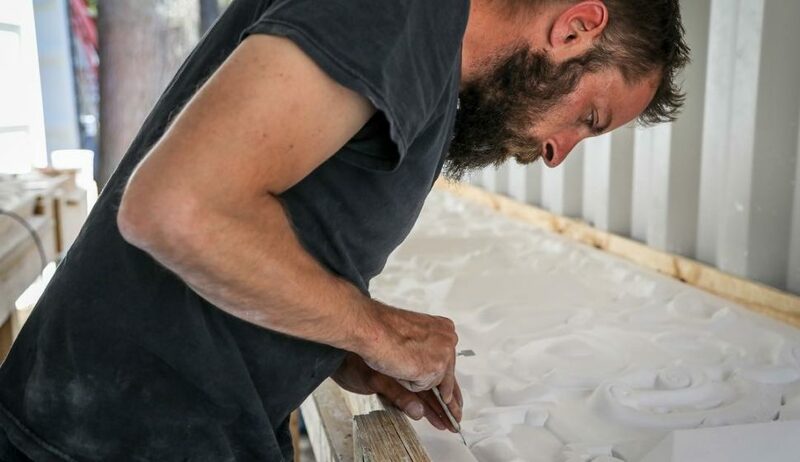 Regional craftsmen, such as Allegrone Construction Mason David Bishop, will bring their skills to bear. 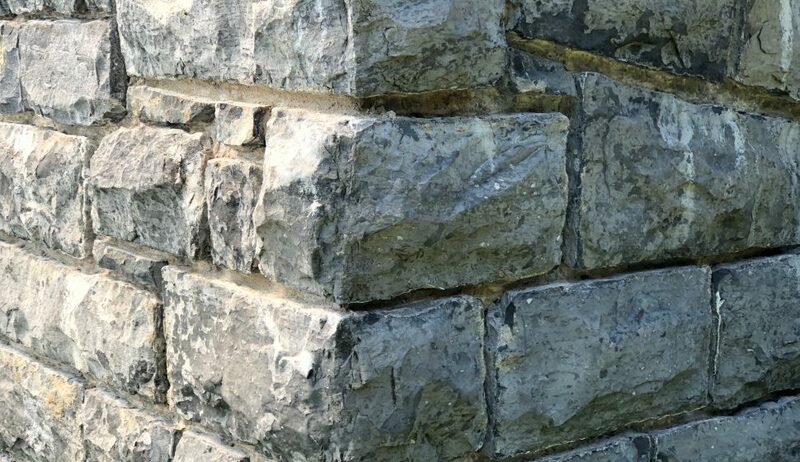 Masonry: seams will be repointed to seal the Mansion’s exterior envelope. Prior to closing the Mansion for restoration, we built five new live-work studios to house artists who continue to be in residence during construction and to broaden the diversity and range of experiences offered to artists. This is the dawn of a new era for our historic Mansion. We anticipate welcoming artists back into the building next summer. Here we are—ready for the final big lift to honor and preserve our past while building a sustainable future for the next generation of artists and writers as well as our community, from our neighbors in Saratoga Springs to our varied artists and arts professionals around the globe. 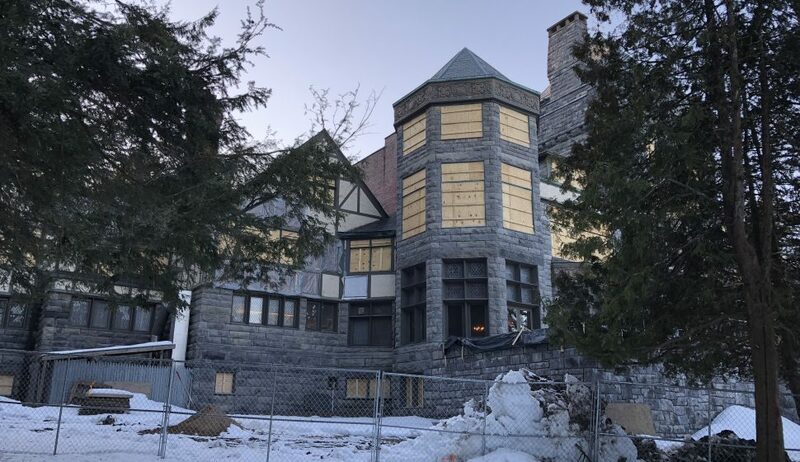 Now is the pivotal moment, as we launch a multimillion-dollar stabilization and restoration of the public face of Yaddo–our historic Mansion, which serves both as refuge for individual artists and as creative common ground, where the world’s leading minds gather to share ideas, energy and imagination. Guided by our mission to provide sanctuary for artists, plans for our renewed Mansion will also allow us to host programming that brings together our artists with the general public, offering resources and access to one of the Capital Region’s cultural jewels. Of course, change requires hard work and thoughtful preparation, especially for Yaddo, which has served artists for more than a century. 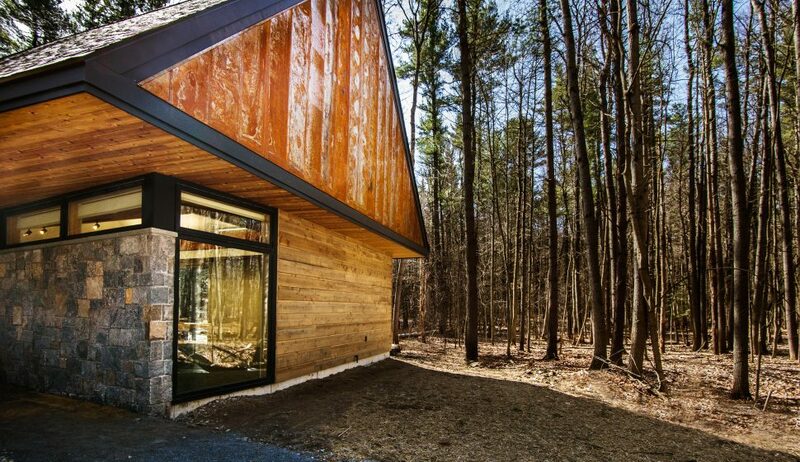 We’ve thought long and hard about this magical place, about how to embrace this transformational moment, about the kind of neighbor we want to be in our thriving, rapidly evolving upstate community. We began in 2012 with a Strategic Plan, the culmination of many listen-and-learn sessions, consultations with experts, and several conversations with our board, artists and community. 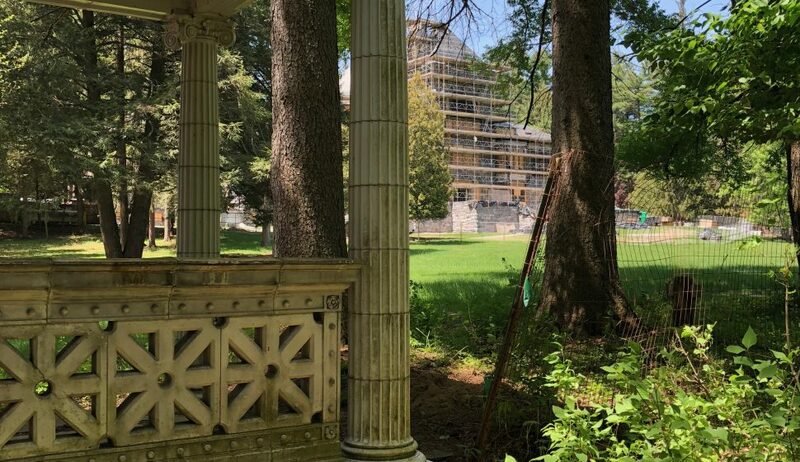 In June of 2013, we commissioned a comprehensive Facilities Master Plan, which spotlighted the structural integrity of the Mansion, calling for stabilization of the building as key to the survival of Yaddo. Soon after, we kicked off a Capital Campaign to raise funds for the work. With a goal of raising $10 million and with almost $7 million already committed, we signed a contract last year to begin preparations. First focusing on architectural investigation and life-safety issues, preparation work proceeded slowly through this harsh winter. With warmer weather came scaffolding (foundation to roof!) and the necessary stabilization of some areas before work could begin. With our plans engineered, stamped and certified, we are now ready to charge forward to renew Yaddo for future generations. 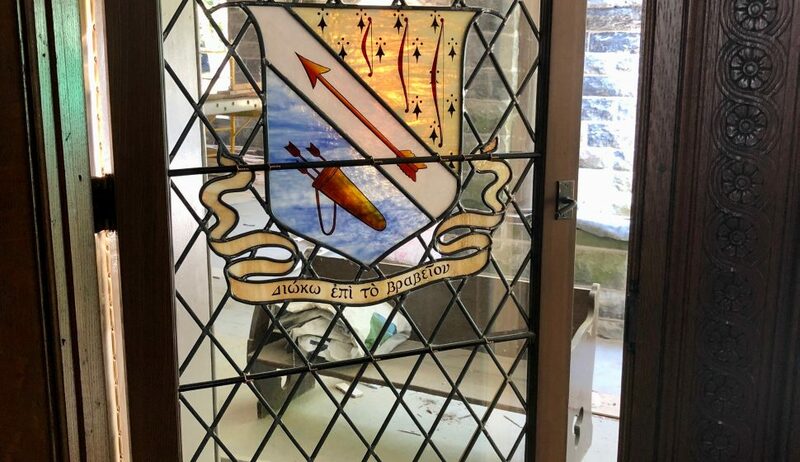 The time is now to protect Yaddo, to ensure that all it has meant to individual artists and to American culture is honored, and to go beyond that to build a version of Yaddo that is invigorated, burnished and fully prepared for our second century. Please join us in bringing this extraordinary act of faith to fruition with an earmarked contribution. 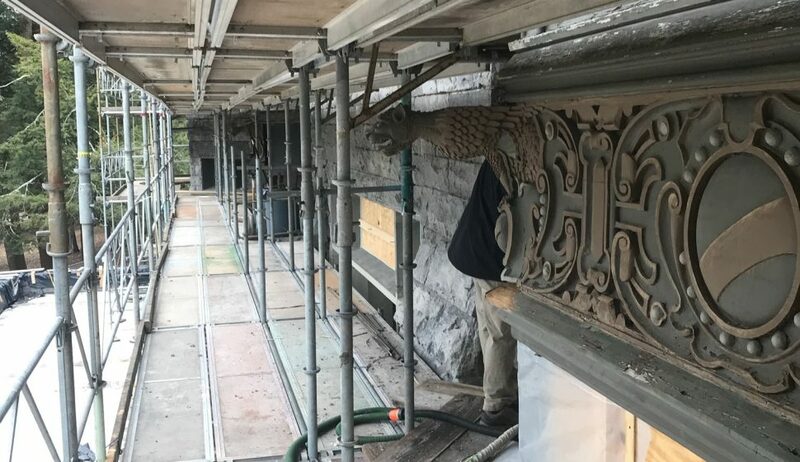 For the full story on Mansion restoration, please view our Summer 2018 Newsletter.